Other than that, the weather's just fine. You heard about the giant jellyfish problem in the oceans around Japan? I read that they're much larger than they should be and that the reason is supposed to be pollution from China reducing the number of predators they have. Maybe acting like jellyfish fertilizer too. Anyway, they're killing off a lot of the fish and hurting Japan's fishing industry. 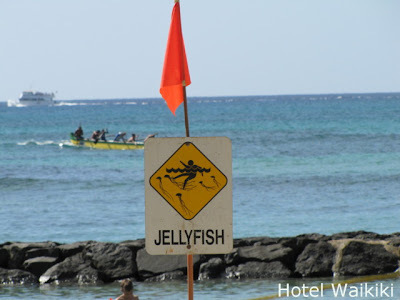 Some folks have tried to monetize the jellyfish so people starting catching them. One ship tossed a net and when they turned on the machine to crank it up, the weight of the jellyfish capsized the boat. It was no small boat either. It was a huge fishing vessel. Crazy right? Brad- no, I didn't hear about that. Sounds prehistoric. Ya, I thought so too. I found some details on it. It was a 10-ton fishing trawler, the Diasan Shinsho-maru. Each Nomura jellyfish weighed about 440 pounds. Brad- I just a story out. Amazing.